But, God provided. God stretched time and multiplied efforts. God extended grace to let good enough be good. Freckles got his braces taken off on Wednesday. He is thrilled. I am thrilled. Way less slurping is coming from his corner of the table at meal times. Our annual winter party is tomorrow night. I reverted back to a Cheese Tasting Party, because it is so sophisticated. And it's easy to pull together. I am really looking forward to connecting with a bunch of our good friends before we leave. This week marked our fourth weekly date. I think we are making this a habit. We are vacillating between Wednesday nights or Thursday nights-whatever works best for our family and schedule. This week we are picking out cheeses for our party. Oh, and btw, this is my 800th post here. Wow! I think that is pretty cool! Some links to make you laugh and think. when I described one of Meres' recent outfits. Btw, this is absolutely true of Meres. Every day. Tell Your Friends How Much Money You Have (Blake Mankin). This article made me think. He has some really good reasons to talk about something we consider very personal-finances. And there is a whole list of great (and practical) questions included. Cluttered Lies (Becoming Minimalist). 6 lies that keep our homes and lives cluttered. Use Your Words (Shauna Niequist) The power of the spoken word. Use them to breathe life. So, today's recipe isn't even sort of healthy. Well. I supposed the chicken is healthy. But, oh.my.word. Do you see that? Chicken wrapped with bacon, dipped in eggs and stuffing crumbs, baked, and then topped with Velveeta. 1. Everything is better with bacon. 2. Meres loves to participate by handing me slices of bacon to wrap around the chicken. 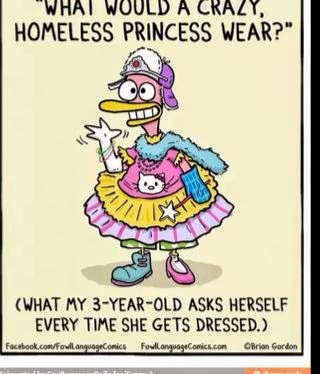 So, your child can help you too. 3. Everything is better with bacon. 4. The chicken stays super moist on the inside, but has a fantastic crunchy outer layer. 5. Does anything not improve when wrapped in bacon? 6. This recipe is reminiscent of chicken cordon blue, but it's way easier to make. WAY easier. -Crush stuffing crumbs with a rolling pin to make finer. -Place egg in a shallow dish and beat lightly. Place crumbs in another shallow dish or a bag. Lightly grease a 9x13” baking dish. -Wrap each chicken breast with 2 slices of bacon. -Dip each piece of chicken in egg and then is stuffing crumbs. Lay each coated piece in the pan without them touching each other. -Bake uncovered at 350 degrees for 40 minutes. 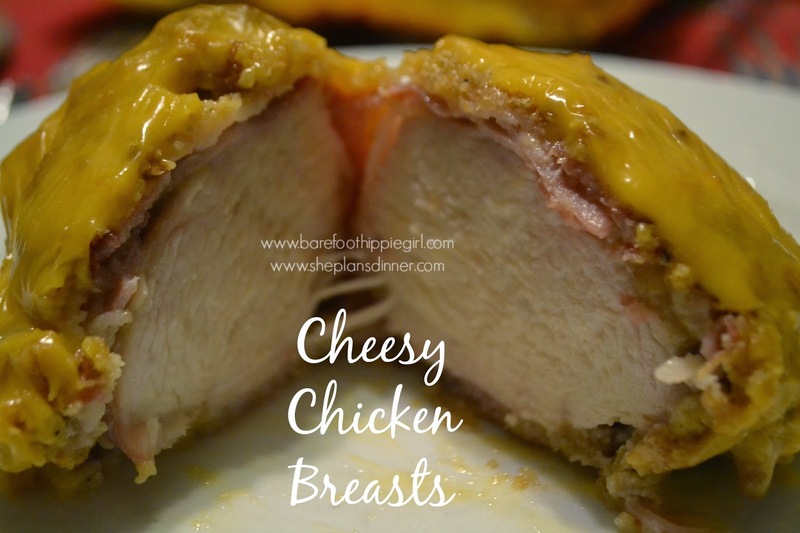 Top each breast half with a slice of cheese. Continue baking for 10-20 minutes or until the chicken is brown and the cheese has melted. Nope, I can't think of anything not improved with bacon...including your weekend!